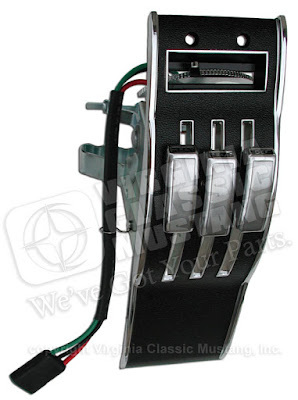 68 Mustang Heater Control Bezel with Switch and Knobs - Available Again! The 1968 Mustang Heater Control Bezel with switch and knobs is available again after being out of stock for over a year. This part features beautiful chrome with the correctly detailed camera case finish. It is for cars equipped without air conditioning. Please click on IN-5618 to order. 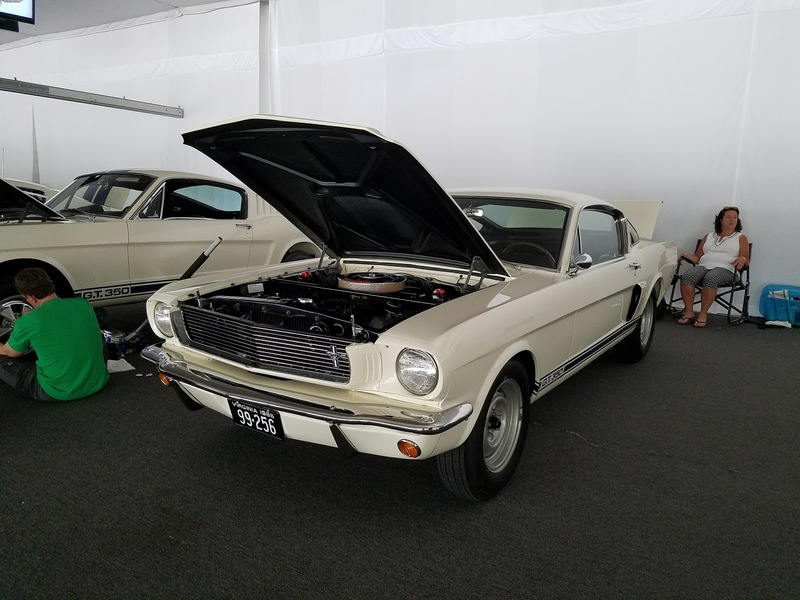 If you have been following our Blog, you know that 1966 Shelby GT350 6S033 made its show debut at SAAC 42 at Indianapolis Motor Speedway. We had a great time sharing the car. 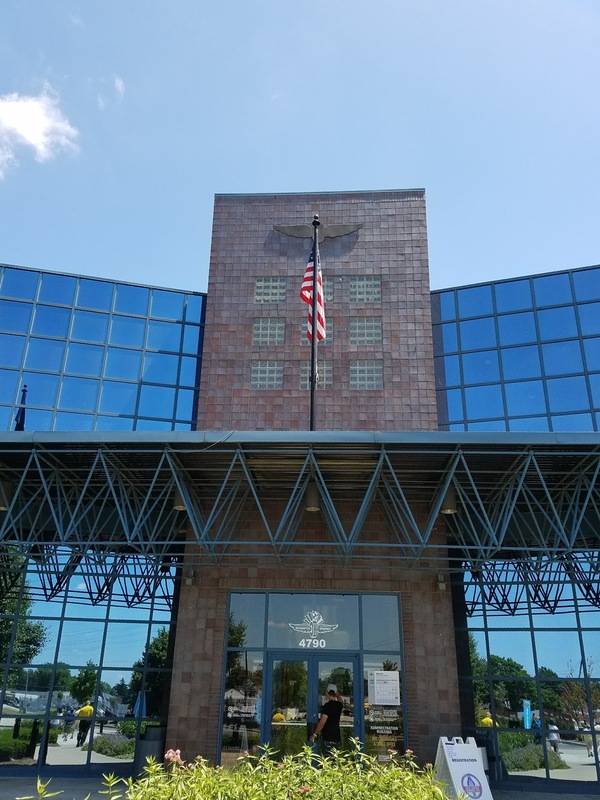 We greatly appreciated all of the compliments and enjoyed talking to lots of customers and friends. Unfortunately, Jeremy from Maple Hill Restoration, who performed the restoration, was unable to attend due to family commitments. The car was judged in the Concours and received a Gold award. In addition to the judged show, the open track event was held on Thursday and Friday. The judged show was the next day. It was fantastic to have an indoor venue for this. 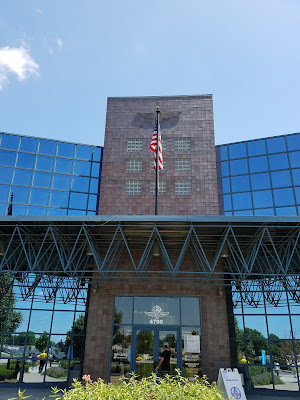 The popular vote car show was Saturday with a tremendous turn out of around 120 cars. Thanks to everyone who attended, volunteered, and shared their cars. 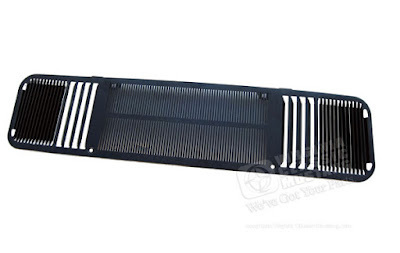 65-66 Mustang Dash Speaker Grill - In Stock Again! The metal speaker grills that fit in the front dash area on 1965 and 1966 Mustangs have been out of stock for quite some time, but they are back in stock. They come in black and can, of course, be painted to match. They are made exactly like the originals. Click on the link to order our part number IN-80821. We always love to receive pictures of our customers' Mustangs! Here is a really cool 1966 Mustang GT Coupe! The Tahoe Turquoise color is fantastic with the factory black vinyl top. The car ,"Ralph" named after my grandfather, was ordered in Fort Worth Texas in 1965 and then moved and spent the remainder of its time on Vashon Island in Puget Sound, Seattle. I only got to see my grandfather a half dozen times or so growing up, but we always talked about the Stang on the phone. After years and years he agreed to leave it to me on two conditions - do not change the paint color, and DO NOT sell it out of the family. In 1999, I had it shipped to Pittsburgh, Pa, and took it with me to McPherson College Auto Restoration Program in which I was enrolled. 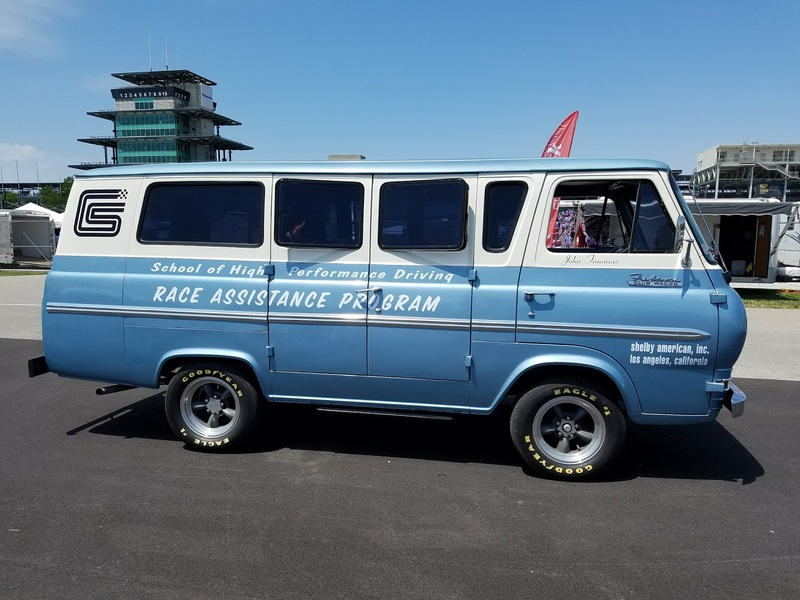 In 2005 it was sent out to Waco Davis Restorations in Hutchinson, Kansas for a complete restoration and returned to me in July 2016. It was restored back to original as my grandfather had ordered it from the factory. This car is the direct link I have to my grandfather. The steering wheel is unrestored, so every time I drive it his fingerprints touch mine. My wife and two children enjoy Sunday Cruises in Ralph, and we always get honks and waves form everyone. This family heirloom has a special place in our family where it will remain forever. 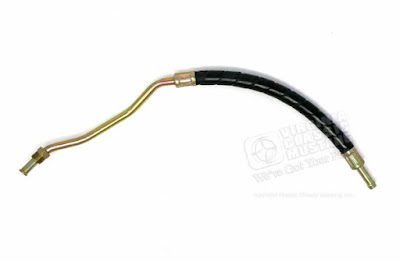 Check out our latest addition to our line of classic Mustang power steering hoses! This one was previously unavailable. It fits 67-68 390 and 428 equipped Mustangs along with the 69-70 302, 351, 390, and 428 models. Click here to order and read more.